Sure don’t look like no city to interest me. What’s all that damn greenery? Why are they still keeping that outdated “towers in the park” vibe tho? They should at least be filling it up with community gardens, outdoor cafe space, sport fields, or anything that will be usable. In a city this expensive to spend money maintaining expansive decorative grassy lawns that nobody uses is so strange. 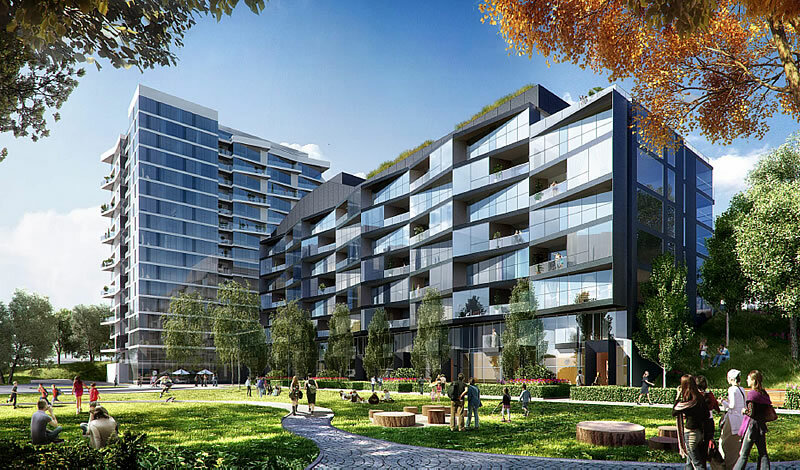 The masterplan does a better job of showing the variety outdoor spaces and landscape types than these building-focused architectural renderings. You’d think that if they’re going to have any lawns that people don’t use, it would be to serve as a buffer between apartments and busy streets. Who wants to live in a “garden apt” 20 feet from Junipero Serra? I used to live near Park LaBrea. The building used to be almost exactly like Parkmerced’s, but instead of tearing them down, they renovated them (imagine!). It’s in a great mid-Wilshire neighborhood, but does not have the small elevations and old trees that PMC has, not to mention our being across the street from a lake! La Brea is flat and is surrounded my more flatness and buildings for miles. But they do have a pool and they are also a locked community. PMS is much more connected to nature. I feel very fortunate to have lived here for 28 years. They need to use a foggy background. That’s the fog belt. Big windows need balconies or catwalks for regular window washing in that environment. Some designs need to face this reality. This is hideous. Have any of these pencil pushers ever been to the site? They look good, and are an improvement on what’s there now. Just think, if they have 50 sub phases, and invite 50 different PPs to design each one, this will be better than Disney World! That is how cities used to be designed. Small pieces by individual builders or architects. Nothing to do with Disney World. Actually, most cities have never allowed buildings to be designed willy-nilly in adjacent areas. 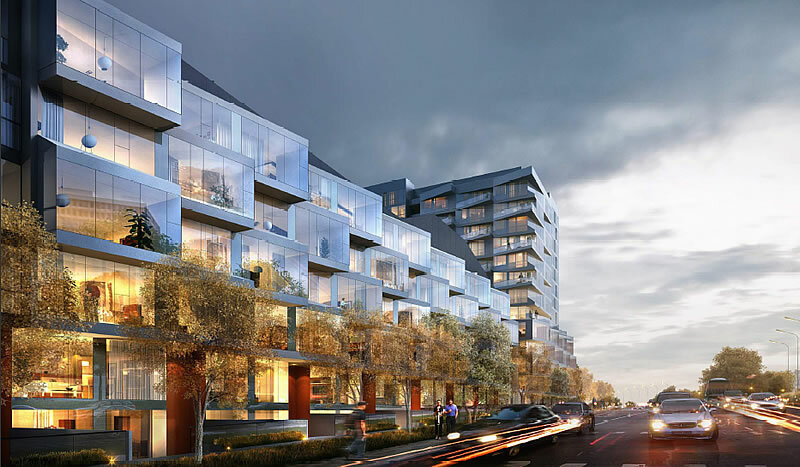 There are design guidelines they need to follow to have the construction approved, precisely so you don’t end up with a patchwork of inharmonious buildings. Hard to tell if anything like that exists these days in SF, it is a mess architecturally. I grew up in Santa Barbara, and the design parameters were quite strict, but as a result they have a beautiful city (with property values as high as in SF). And, as I’ve said before: this is exactly why architects don’t need to listen to the “peanut gallery”. 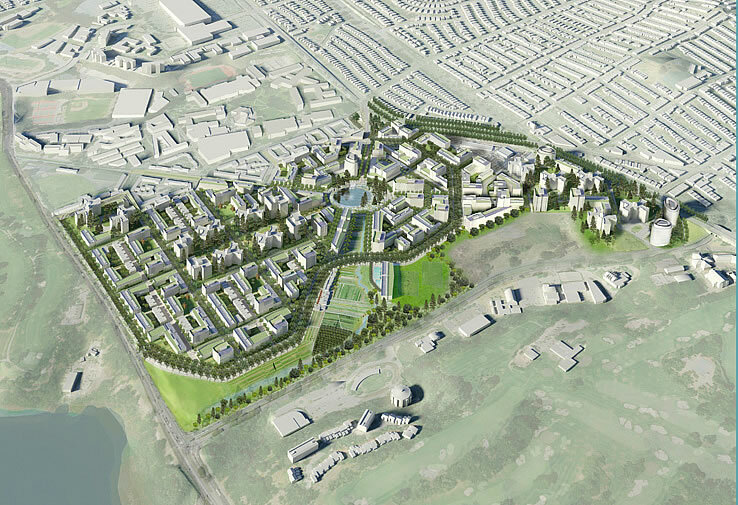 This promises to be an outstanding master planned community. We need to get going with designating SF a Unesco Heritage site. That will separate the wheat from the chaff and put a stop to this crap. Why all the negativity? Some of the designs are much better than the simple glass boxes found in other developments around the city. They’re not in SOMA because they’re here at Park Merced. why is that so hard to understand? Kudos to the last two design teams for putting an actual picture of the road and a cloudy sky in their renderings respectively. I really do like that riff on traditional bays in the final rendering. 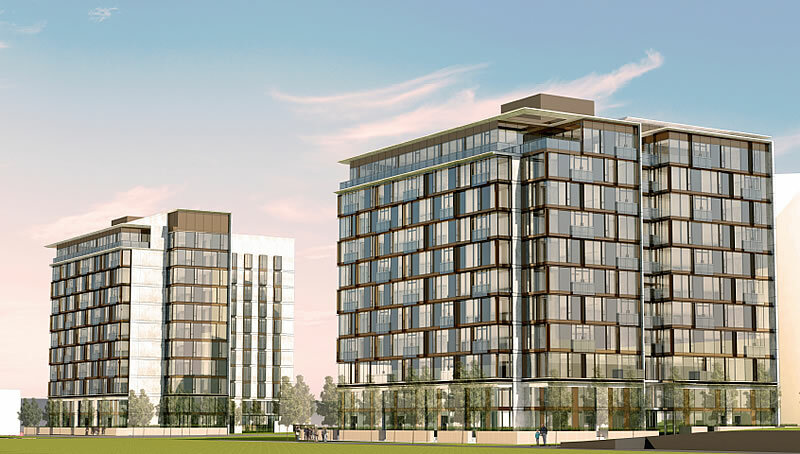 Something similar is planned for Parcel T on Octavia but not so nice as these. When did SFSU get the Parkmerced blocks between Holloway and Serrano? They just need a row a high-rise towers along Holloway across the street from SFSU, instead of those little village hovels they presently have. The 3 ways in/out besides 19th Ave are ridiculously congested every day already. Not sure how they’re planning to widen Park Merced Blvd or Brotherhood Way. They need to triple underground parking so it can look like the carless utopia they’re selling. The 17 bus line won’t cover it. Every 9-5er has to walk up to 19th Ave to catch the M train downtown. It could be something but they’d have to raze the entire thing and start over. And it would still need an extra lane on every surrounding street to make traffic move at all. A bunch of years ago they talked about condo-ing part or all of it. I say raise the thing and start all over as you suggest. And integrate into the grid of the nearby neighborhoods instead a island onto itself with limited access. Look at all those damn trees lining the perimeter of the property. Might as well be a penitentiary boundary. I’m currently in Chicago for the Giants/Cubs series and spent the afternoon traipsing the town including the recently opened 606 (Chicago’s answer to NYC’s High Line) which gave me my first real exposure to Bucktown which has become quite popular. Demonstrated once more how great this city is at, not only infill, but wholesale renewal of neighborhoods. I wish a similar approach would be taken at PM correcting the basis mistakes previously made and speeding up the build-out with a more organic, naturally occurring process of city growth. If you actually look at the long-term plan, you’d see that it includes relocating the M to swing through the edge of Park Merced – which will also have the effect of improving traffic flow on 19th Ave / Junipero Serra. Like that they are keeping so much green space!! Like the varied design team approach though nothing really stands out to me except for block 20 which looks promising. What would be nice to see happen is a row of redwood tress setting off the south side of Park Merced. I forget the street name but its the street that separated Park Merced and SFSU from the golf course on the other side. In San Jose and on the Peninsula they plant a variety of redwood that does well (along freeways even) grows quickly and maxes out at 25 feet or so. It notable that at the end of Sunset where it merges into the road around Lake Merced, the city has planted 4 or 5 redwood tress and they are doing well. Why they don’t plant these along the Sunset median strip I don’t know. Not enough money I guess. I like your idea very much. Love the majesty of redwoods and they would thrive in that area. Yeah. In fact those nice row of detached homes between Sunset and SFSU have a wide strip with grass separating them from the Lake Merced roadway. I’ve always thought redwoods planted there would look great and separate the homes a bit from the busy roadway. Really that strip should be planted. Overall, I like the project. Too bad construction can’t be speeded up! Wonder what the “change management” process is? 30 years is a long time – has the master agreement with the city allowed for adjustments and what kind of adjustments? For instance, if Stonestown expands in the interim can the PM development reduce its retail? Or number of units and or type of units. San Francisco has about 800K folks now and will grow some (tens of thousands more?) but that growth will likely come during this projects upfront period. 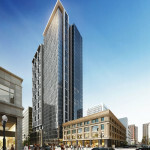 Will the demand be there for units in 25 to 30 years when the project finishes? Can the developer adjust accordingly? Its such long rollout I think its a given the plan will evolve over the decades. This is huge improvement to the communist-era looking high rises there now. the density proposed ignores the impacts it creates, transit/traffic/parking and cumulatively based on SFSU-CSU’s proposal, and the future stonestown site. No pretty pictures of architectural renderings discuss the socio-economic issues involved and impacts to existing community members in terms of long-term construction, relocation, and displacement. The images don’t show the existing residents, only the feel of some “enchanted” future reality… far removed from how tranquil and relaxing the community is currently. The added shops, commercialization, and market-rate impacts will assuredly remove the backbone of prior rental housing in SF…. I don’t disagree but is there serious talk of expanding Stonestown? Not the rumors that have been around for a decade or more. As to SFSU, is not the campus pretty much built out? How many more students can be added. Sorry, everyone…San Francisco’s gates have been closed. If you’d only been born 30 years earlier there might be a chance, but unfortunately we apply strict Victorian principles to local development and building methods, so 3 stories is the limit and there’s no space for you! We got here first and are therefore more deserving because, you see, we have put the queen’s flag down on these regions and that means you snooze you lose! Aaron is accurate, as always. This is a fantasy picture which does not account for the many problems that will be caused when the population is tripled. And about SFSU’s future plans? BIG! They are beginning demolition now for the huge performing arts complex which will be where the former PMC tennis courts, etc. were. And, at an alum gathering I attended, we were told that SFSU plans to build high-rise student housing on Holloway (our former PMC units), plus more students housing just east of campus also on Holloway. How will we deal with the congestion? The new owners of Serramonte have announced an expansion. Stonestown is really not busy enough to warrant one. Nearby Daly City is the mystery here. Is the city government there inept? Do they have a planing department? Were is the vision…and the zoning? 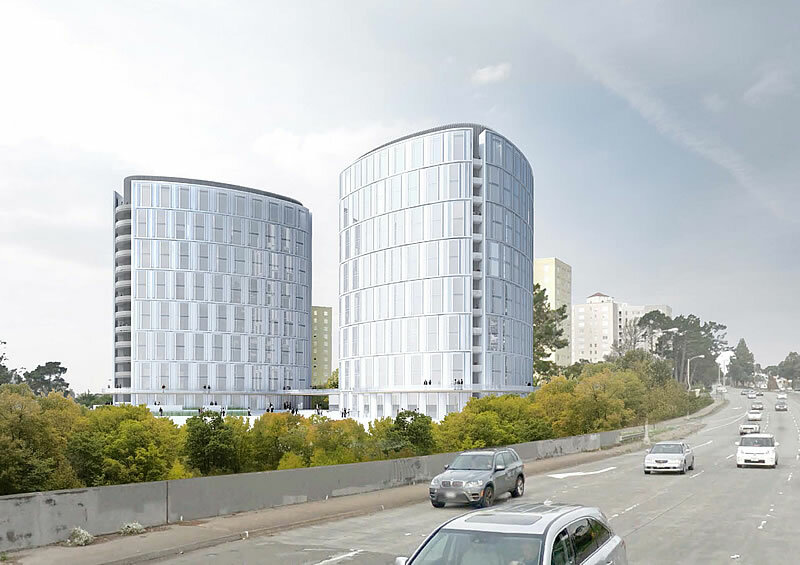 High-rise towers should be built from the BART station up to the top of the hill . 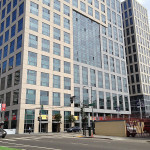 Daly City is ideally situated for growth. Simply makes no sense. Good point. Stonestown does not seem that busy compared to Serramonte. Had not heard that it was expanding. Its more central (freeway) than Stonestwon so makes sense..
As to DC, the area around Bart there is mostly single family homes. If the planning code is anything like SF, you cannot demolish/replace a single family home with multiple units. So maybe that is why more density is not happening around BART DC. Of course just to the north across the freeway is SF and single family homes. They will never be replaced by higher density dwellings. Daly City Bart, even more than most stations, is kind of miserable. It’s a real concrete warren– parking lots, garages, multilane roads, narrow sidewalks. Any changes there should start with Bart itself, developing the land that it owns with retail and housing. Yes, the area around Daly City Bart is really under-used, being mostly single-family homes. The Daly City Planning Department (if you could call it that) is actually a lot more flexible about building type than you might expect, in several cases allowing apartments or duplexes after demolishing a house or two. I think they mostly just want enough parking spaces in the new buildings. Nowhere near the level of nimbyism as SF either, with most of the neighbors just keeping to themselves. Most of the problem is simply lack of interest by developers. With the cheap prices though, it’s a big opportunity for an investor who cares to take a look. 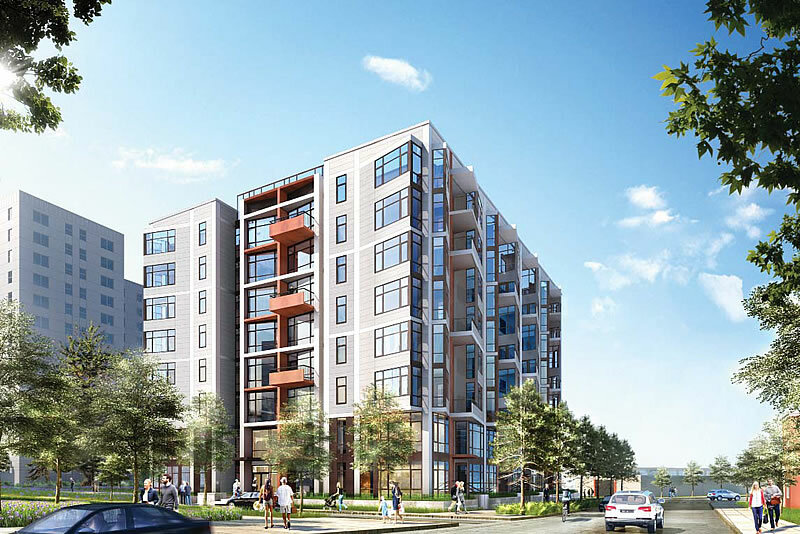 There is a large parking lot on the east side of 19th north of 280, a large parking garage with a lower open top parking zone, and of course all the air-right development into and up towards Brotherhood Way and the Allemany Intersection with Randolph. By doing a larger scaled intervention at this area, the actual entrance to SF’s west side could be a larger than life development. Instead the 2 SOM towers will be shoveled on the south side of the freeway of 19th, and do nothing to deal with the real cloverleaf old 1952 interchange existing at Brotherhood Way, the flyover at allemany, and the in-surmountable I-280 interchange and split. These are the real problems transit/traffic wise that the cities (Daly City and SF) are ignoring along with the planners Caltrans, and need to be more futuristic thinking on the west-side on where and how to densify.